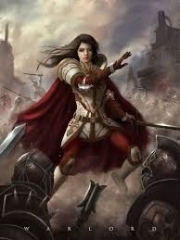 You’re reading novel Chaotic Sword God Chapter 1124: Who Dares Challenge Me? (One) online at LightNovelFree.com. Please use the follow button to get notification about the latest chapter next time when you visit LightNovelFree.com. Use F11 button to read novel in full-screen(PC only). Drop by anytime you want to read free – fast – latest novel. It’s great if you could leave a comment, share your opinion about the new chapters, new novel with others on the internet. We’ll do our best to bring you the finest, latest novel everyday. Enjoy! Jian Chen ran off as fast as he could. Although the depths of the divine realm were littered with danger that could threaten 16th Star experts, Jian Chen was without fear right now. He did not worry about any of the danger he would face at all. Jian Chen held the baby ape against his shoulder. It had only recently reached the 11th Star, so it was not enough to threaten Jian Chen. Even with it putting up a desperate struggle, it was unable to break free from Jian Chen’s vice-grip. The two huge apes furiously ran behind Jian Chen. They angrily roared as their eyes glowed red. The gazes they used to look at Jian Chen were filled with rage, and with every step, a heavy thud would ring out. The earth violently shook. Even though they were at the Ninth Heavenly Layer and Great Perfection of Saint King, they did not possess any grasp of the mysteries of the world and were unable to use Spatial Force. As a result, they were much slower than Jian Chen even though they were far more powerful than him, so they were unable to catch up. Jian Chen maintained a constant distance between him and the two apes, planning to draw them far away. Suddenly, a beast loudly roared out. A twenty-meter-long, winged, scorpion-like feral beast shot toward Jian Chen. Its eyes were full and filled with a blood-thirsty light, clearly having not awakened with intelligence. The feral beast was already at the 15th Star. Although it possessed a pair of wings, it could not fly, but it did move very fast, much faster than the two stronger apes. It was even vaguely faster than Jian Chen. With a flash, the beast’s venomous stinger shot with lightning-like speed toward Jian Chen. It flickered with blue light. Jian Chen dodged the attack masterfully before grabbing the stinger with one hand and swinging as hard as he could. Immediately, the scorpion was flung toward the two apes. The scorpion’s huge body smashed into the ground and created a crater. It immediately climbed back to its feet as it stared at Jian Chen with its bloodthirsty eyes. It continued to chase Jian Chen by flapping its wings. But, at this very moment, a huge axe fell from the sky. With a violent boom, it landed heavily on the scorpion’s back, pa.s.sing through to its chest. The scorpion was nailed down by the axe, which the giant ape then raised. It carried its axe on its shoulder with the scorpion pinned on it, chasing after Jian Chen with huge strides. It did not even look at the struggling scorpion on its axe. Jian Chen felt secretly shocked inside when he saw this. The ape was just far too brutal and far too powerful. A 15th Star feral beast had been dealt with so easily. It did not know any Saint King abilities, but Jian Chen believed that the ape would be difficult to deal with even if a Saint King at Great Perfection were to fight it. Jian Chen fled as the two apes chased him, having run a thousand kilometers. He came across a few adventurers from time to time, and they all became stunned from what they saw. There were also some predatorial feral beasts that had yet to awaken their intelligence who wanted to eat Jian Chen, but they were ripped to shreds by the angered apes without Jian Chen needing to do anything. After drawing the two apes away, Zhou Chuyun and the others did not leave their hiding places immediately. Instead, they observed carefully and secretly. Only after confirming that the situation was calm and that the two apes could not return in a short amount of time, Zhou Chuyun and Liu Jun carefully made their way past the beast corpses. They arrived before the walnut-sized droplet of divine water with faces filled with excitement and emotion. “Those two terrifying beasts should be returning very soon. Zhou Chuyun, retrieve the divine water quickly. I’ll go check over the corpses of the beasts to see if there’s any thunderstones,” Liu Jun said with a deep voice. Although the apes were now far away, they dared not to stay for too long. Zhou Chuyun nodded and immediately pulled out a jade bottle from his s.p.a.ce Ring. Liu Jun went to check through the corpses of the other beasts. “F*cking h.e.l.l, there’s a powerful energy around the divine water protecting it. It must have been left by those beasts who were locked in a stalemate. I can’t retrieve the water with this layer of energy,” Zhou Chuyun suddenly cursed. His face became filled with worry and panic. “We don’t have much time, so we need to think of an idea quick.” Zhou Chuyun became overwhelmed by anxiety. At this moment, a figure quickly shot toward where Zhou Chuyun was standing. He moved extremely quickly and kept his presence hidden without any part leaking out. He was on high alert. The person was a skinny, middle-aged man. He possessed an ordinary appearance and his skin was deep blue. He was a member of the Sea race. He seemed rather at ease, but caution filled him inside. He constantly glanced around to prevent other experts from suddenly attacking him in surprise. At the same time, a vast presence radiated from him, as a form of warning towards any people hidden around him. He could tell with a single glance that the beasts had died in a struggle with each other with his experience. It was impossible for other adventurers to cause similar wounds. “Sh*t, it’s a 15th Star expert,” Zhou Chuyun growled. Both his face and Liu Jun’s became extremely ugly. Jian Chen was no longer present and it was impossible for them to fend off a 15th Star expert just by themselves. Zhou Chuyun and Liu Jun both became rather pale. They were now stuck in a dilemma where they could do nothing. “Esteemed warrior, this divine water already has an owner. It’s owner is a 16th Star expert, someone who can rival hall elders. 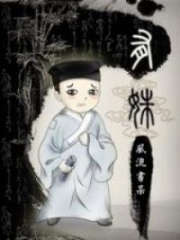 Are you certain you want to steal from him?” Zhou Chuyun clasped his hands. Right now, he could only hope to deter the middle-aged man by mentioning Jian Chen. Zhou Chuyun immediately described everything he had seen. The middle-aged man immediately became uneasy when he heard all that, glancing past all the wounds on the feral beasts. “The expert took us directly through the Mountains of the Sleeping Dragon. At the very top, he killed an extremely powerful violet serpent dragon,” added Liu Jun. He mentioned what Jian Chen had done in the past to scare off the man. The man’s face changed once more. Recently, he had indeed heard the continuous roars of beasts from the mountains. There had been a terrifyingly powerful expert who crossed through there, so he basically believed everything Zhou Chuyun had said after connecting what the two of them had said. The light in the man’s eyes flickered uneasily. After a while of hesitation, a powerful killing intent flashed through his eyes. He said severely, “So what if it’s true? That supreme expert’s not present. No matter how great that person’s abilities are, he will not know that it was me if I killed the two of you and ran off with the water.” The man’s steps sped up. He was ready to kill. Zhou Chuyun and Liu Jun’s faces changed drastically. Just as they wanted to run, figures flicked in the distance again. Over ten people shot over with extremely great speed. All of them erased their presences and moved silently, unwilling to alert the beasts up ahead. The people clearly did not belong to a single group. They stood in different locations and were all on-guard, filled with caution. There were actually three Saint Kings among them. The middle-aged man gave up on killing Zhou Chuyun and Liu Jun. He stared at the people behind with a sunken face. Their arrival had ruined what he wanted to do. A few people cried out involuntarily when they saw the water. All of them rejoiced. With a gentle breeze, another four people appeared. They were four old men. Zhou Chuyun and Liu Jun s.h.i.+vered inside. They were familiar with the old men; they were the same four people who were in the cave before and had almost begun fighting with Jian Chen. “It’s actually divine water of the world. What an unexpected harvest,” one of the four old men said huskily. You're reading novel Chaotic Sword God Chapter 1124: Who Dares Challenge Me? (One) online at LightNovelFree.com. You can use the follow function to bookmark your favorite novel ( Only for registered users ). If you find any errors ( broken links, can't load photos, etc.. ), Please let us know so we can fix it as soon as possible. And when you start a conversation or debate about a certain topic with other people, please do not offend them just because you don't like their opinions. You're reading Chaotic Sword God Chapter 1124: Who Dares Challenge Me? (One). This novel has been translated by Updating. 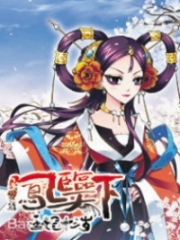 Author: Xin Xing Xiao Yao already has 5901 views. Current Time is Apr-22-2019 16:20:38 PM.